Questions about Photolemur basic features, how-to questions etc. I can't use extensions in my Photos app. How to Update Photolemur from 2.3 to 3? Does not work with GoPro Hero 5 Black RAW Files !! Do i have to buy a new key if i buy a new Computer? Can Photolemur be used as a Luminar 2018 plugin? But it doesn't straighten the horizon! 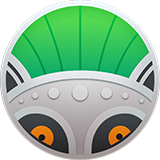 Can Photolemur be used as an iPhoto extension?